We all know that Austin is considered the live music capital of the world and for good reason. However, it’s not just Austin that boasts some great live music. We are here to give you all sorts of options for hitting the town and seeing some live music in the Hill Country! Gruene Hall -1281 Gruene Rd, Gruene, TX – Arguably one of the most famous spots in the entire state, Gruene Hall has been a popular live music venue since the 1970s. Since the fascinating history of Gruene Hall has been discussed in a previous Kiss & Tell post, we won’t go too much into detail on that side of things. Plenty of big names grace the wood plank stage of Gruene Hall, country queen Loretta Lynn and blues legend Taj Mahal both headlined this year, but there are plenty of local, up-and-coming acts that rock the house as well. One of our favorite nights out is to head to Gruene on Two-Ton Tuesdays, where local favorite Two Tons of Steel puts on a rollicking show. Be sure to put on your dancing shoes for their shows as we can promise you won’t be sitting down all night! Cheatham Street Warehouse -119 Cheatham St, San Marcos, TX – For fans of country music and rock n roll, Cheatham Street is considered a sacred place. Both George Strait and Stevie Ray Vaughan got their starts at Cheatham and it was frequently the showcase of “outlaw” country musicians such as Jerry Jeff Walker and Guy Clark. Opened by legendary song writer and musician mentor Kent Finlay in June of 1974 with the goal of creating a laid-back listening atmosphere, Cheatham quickly became of one Texas’ most famous honkytonks. Today, the atmosphere is still laid back and the interior maintains the 1970s honky-tonk vibe. Cheatham is one of the best venues for live music in the Hill Country and it’s located a hop, skip and a jump from Kissing Tree! The monthly (and free!) Kent Finlay Songwriters Circle is something that cannot be missed as musicians from all over Texas come to perform original songs. Who knows, you may end up witnessing the beginning of the next big thing in music! Austin 360 Amphitheatre – 9201 Circuit of the Americas Blvd, Del Valle, TX – As previously stated, there is so much live music in Austin that it can be difficult to choose the “best” places for people to go. After much deliberation, we decided that we wanted to include Austin 360 because one of our writers went for the first time recently and had such a fantastic time that we think everyone should experience it!The Austin 360 Amphitheatre is an outdoor venue on the site of the massive Circuit of the Americas racetrack. While Gruene Hall and Cheatham St are small, cozier venues, Austin 360 is closer to the traditional concert arena and the big name acts on their calendar prove it. The headliners on our writer’s recent trip were Chicago and the Doobie Brothers – oldies but definitely goodies. 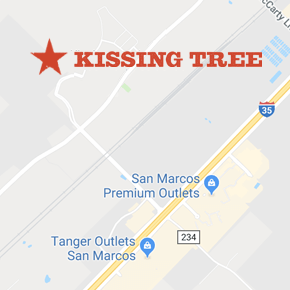 Since the trek from San Marcos to Austin 360 takes some time, they got a big group together for a bus from Vantasy Transportations taking them to and from the venue, which only increased the fun! Their experience with Vantasy was top notch, and we recommend their services anytime! As Austin 360 is a bigger venue, that means bigger crowds but don’t let that put you off. Whether you are sitting in the floor seats or on a blanket on the lawn, the energy is fun and equals a night to remember.